Glasgow Film Festival's Opening and Closing Galas stay close to home this year. 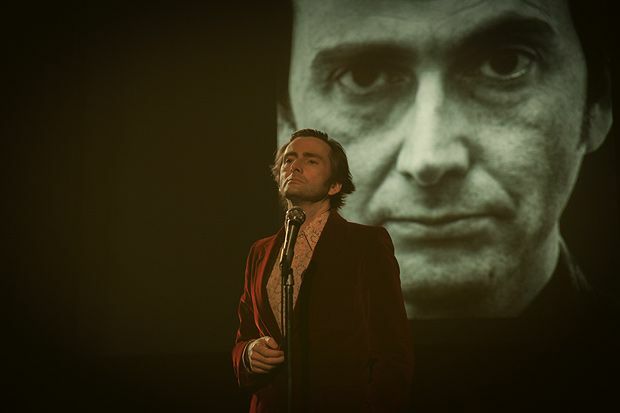 The festival has just announced that it will kick off its 2017 programme with the European premiere of Irish drama Handsome Devil and close with the world premiere of RD Laing biopic Mad To Be Normal, starring David Tennant. Handsome Devil (Wed 15 Feb) is director John Butler's second film following 2014's comedy The Stag, and tells the coming-of-age story of 16-year old Ned (Fionn O'Shea), an artistic kid sent to an all-boys Irish boarding school where rugby is religion. A fish-out-of-water, Ned finds himself bullied and alone until he bonds over music with new roommate and star rugby player, Conor (Nicholas Galitzine). The film also stars Sherlock's Andrew Scott as an inspirational English teacher. After this uplifting opening film, GFF wields considerable star-power in closer Mad To Be Normal, which sees Elisabeth Moss (Mad Men, High-Rise), Michael Gambon (Fortitude, Harry Potter series) and Gabriel Bryne (The Usual Suspects) join David Tennant for a powerful look at the charismatic and controversial 1960s Scottish psychiatrist RD Laing. Robert Mullan's film provides a particularly powerful account of Laing's Kingsley Hall experiment. Both Mullan, Tennant and other cast members are expected to be in attendance for the Closing Gala screening on Sun 26 Feb. The full GFF programme is announced Wed 18 Jan.
Glasgow Film Festival, various venues, Wed 15 Feb–Sun 26 Feb.